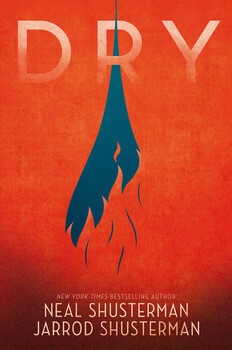 Dry by Neal Shusterman. Read it. Like now. I’m serious. Because it is so real and scary in that way that doesn’t haunt your dreams but haunts reality. 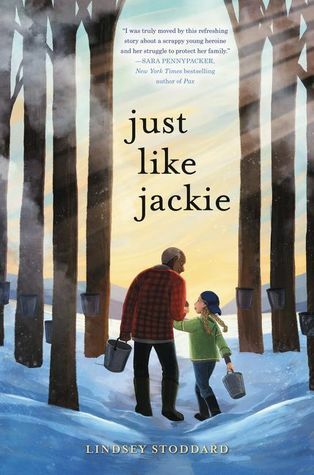 Just Like Jackie by Lindsey Stoddard is a look at family and responsibility and anger. It is a very special book! Peter & Ernesto: The Lost Sloths by Graham Annable is just as good as the first one. 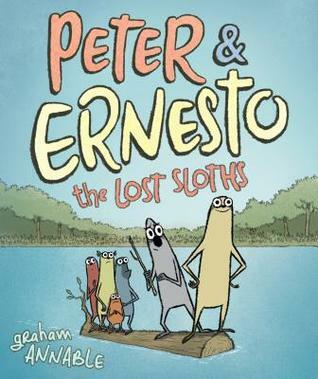 It expands Peter & Ernesto’s world even more! 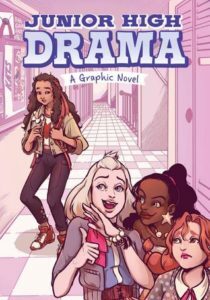 Junior High Drama by Louise Simonson is a short story collection looking at different situations that middle schoolers, primarily girls, deal with. 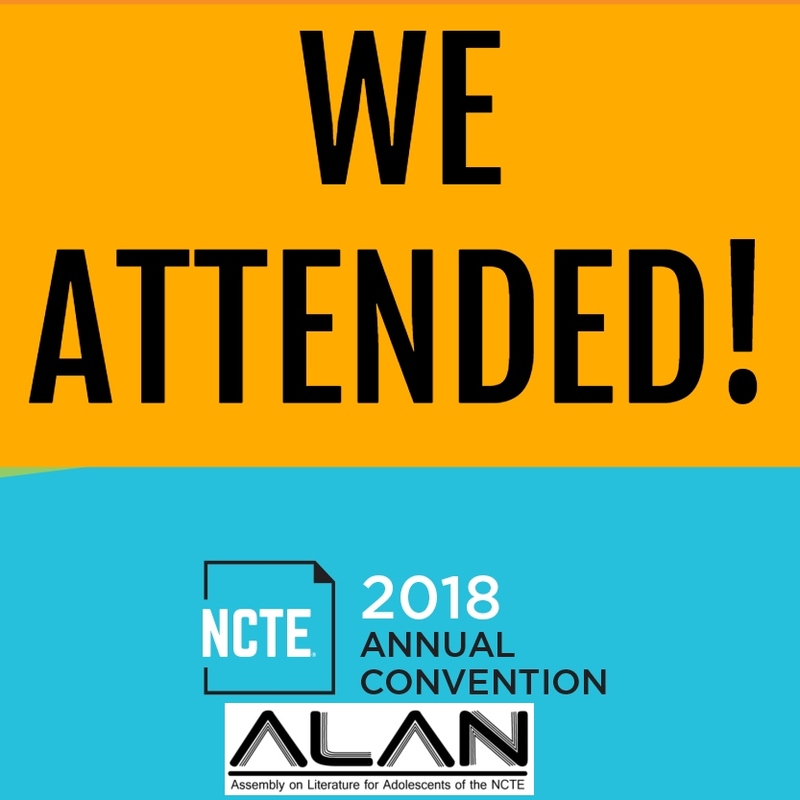 NCTE and ALAN is all about celebrating teaching, author, book, and creativity love, but it is so BUSY that reading time is nonexistent. Luckily, when I returned, I had a solid five days of family and reading time! Here We Stay by Sara Farizan is the first ALAN book I picked up, and I am so glad! 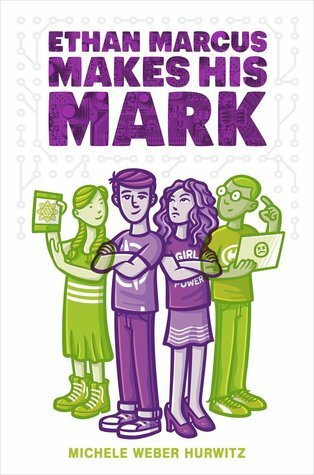 I hadn’t have known about this book until ALAN which is a travesty because it is a must read and a must share with teens. The Scourge by Jennifer Nielsen is such a messed up book! It is a look at power and what someone in power would do if they fear losing it. 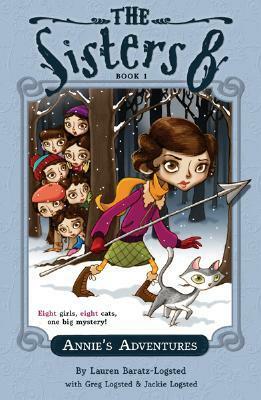 Jennifer is coming to my school NEXT TUESDAY, and I am loving reading all of her books. 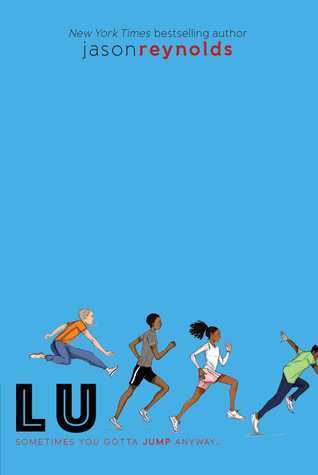 Lu by Jason Reynolds concludes the Track series with Lu which is a perfect finale to the series. Sometimes what you think you need to feel happy isn’t it at all. The Sisters 8 is a series by Lauren Baratz-Logsted, Greg Logsted, and their daughter, Jackie. This series debuted 10 years ago, and I look forward to celebrating in a couple of weeks. 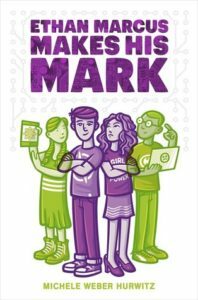 Ethan Makes His Mark by Michele Weber-Hurwitz is the sequel to Ethan Marcus Stands Up which is the book that inspired my flexible seating this year. I was worried about book two not standing up to book one, but I shouldn’t have worried. It is just as good at the first not only continuing the story but also building up a new one. 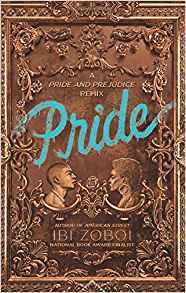 Pride by Ibi Zoboi is incredible. I love retellings of classics, and I would argue that this retelling is far superior to the original. 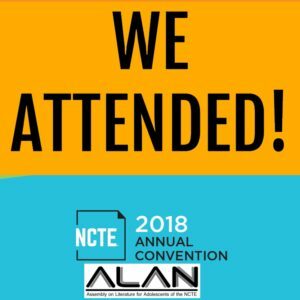 Ibi presented at the NCTE convention, and she is absolutely brilliant. She talked about how she values the inclusion of the pantheon in literature and how she does so in her own texts. She also shared how different poems within Pride are retellings of classic poems. I love her work and will read anything she writes. 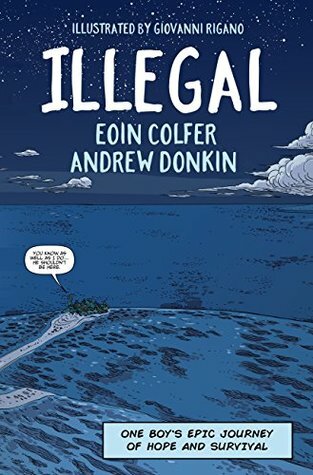 Illegal by Eoin Colfer and Andrew Donkin is a powerful, timely story. If only those in power would read more stories like these. 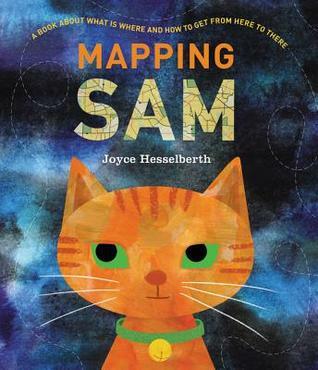 Mapping Sam by Joyce Hesselberth is an adorable story of a cat’s adventures. It includes many maps of places that will be familiar to kids. Children who love cats and/or maps will enjoy this book, and it has a lot of classroom potential (map making!). 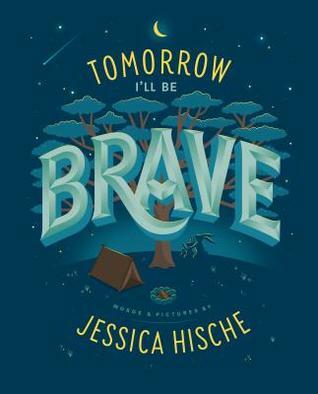 Tomorrow I’ll Be Brave by Jessica Hische is beautiful in its presentation and inspirational to kids. The lettering in this book is lovely. 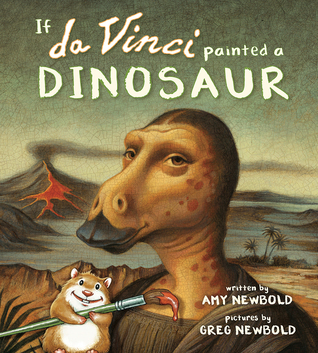 If da Vinci Painted a Dinosaur by Amy Newbold is AMAZING. The author and illustrator team reimagine what it might look like if famous artists in history decided to paint a dinosaur. This sent me on a tailspin through the internet—researching the famous artists. I am excited to review this book next week! 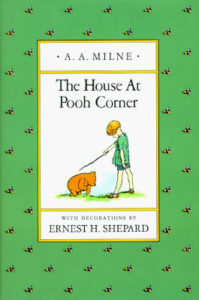 The House at Pooh Corner by A.A. Milne: I cannot wait to get back to reading this one with Trent. It was sad to miss a week while I was away. Land of Stories Book 1 expired before I could finish listening to it and has holds, so I moved onto A Night Divided by Jennifer A. Nielsen which is excellent! 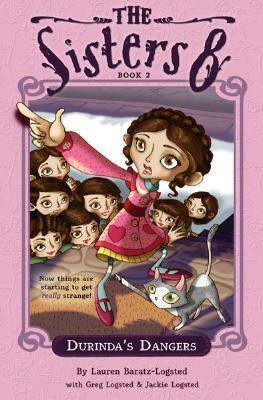 I hope to finish it before her author visit next week. 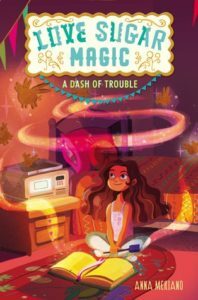 Love Sugar Magic: A Dash of Trouble by Anna Meriano is one I grabbed after meeting the author at NCTE and hearing about the second book in the series. 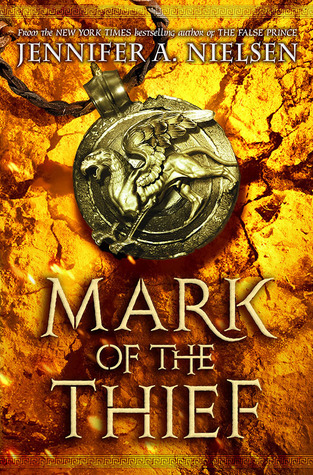 Mark of the Thief by Jennifer Nielsen is the first in a trilogy. I am very early in it still, but I will no doubt love it! 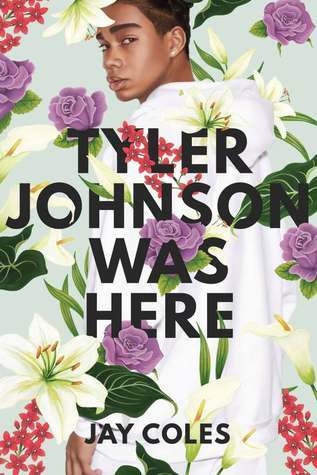 I am currently listening to Tyler Johnson Was Here by Jay Coles. So far, it is a great read (and listen!). 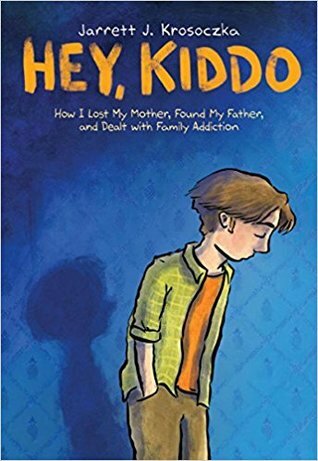 I hope to read Hey, Kiddo by Jarrett J. Krosoczka. I’ve heard good things, and it was in my ALAN box! Great reading week! Enjoy your Jennifer Nielsen visit. I had the pleasure two years ago, and she is one of the nicest people I have met. She had such a profound impact on my school and district. We Skyped last week with my Resistance group. The two Nielsen books you are reading are both really good, but I think Resistance might be my favourite (after False Prince). 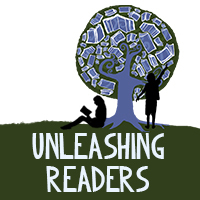 Oooh – so many good books between the two of you! 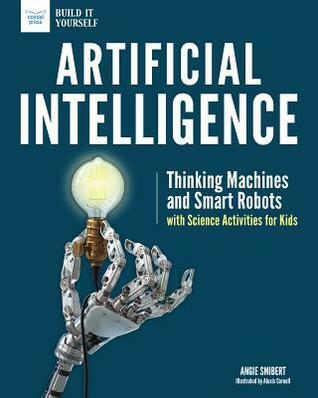 Exciting that Jennifer Nielsen will be visiting your school! 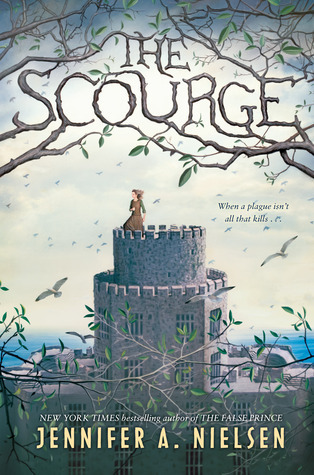 I listened to both The Scourge and A Night Divided on audio. 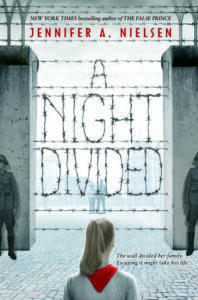 I enjoyed The Scourge Ok but A Night Divided was SO powerful – and on a part of history that is rarely talked about or taught. A new Neal Schusterman??? Eeek! Thanks for the heads up! I LOVE his books – will look for this one. 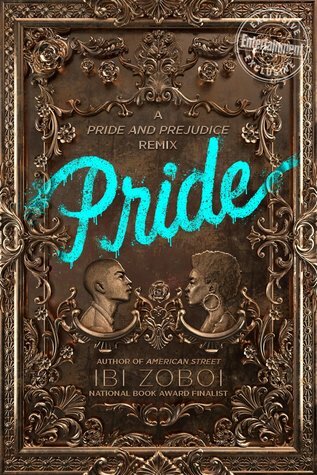 I really want to read Pride, too, because I loved America Street. I think I might have it on audio already – need to move it up the list! And I enjoyed Hey, Kiddo – a moving and original story (memoir) – hope you do, too. Pride is very, very good! I hope you like it as much as I did! Kellee, I’ve been wondering about Dry by Neal Shusterman. So with your recommendation I think this one will go on my short list… sooner rather than later. 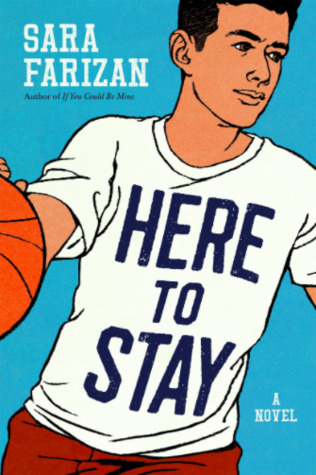 And I just picked up Sara Farizan’s book If You Could Be Mine — so I’ll have to check out Here We Stay when we get that one here. Can’t wait for Lu, but kinda sad that series is ending. Ricki, Illegal looks so good. Thank you for reminding me of this one! And I’m adding Pride to my list right now. I need to go see if that’s available at any of our local libraries so I can read it over the upcoming break. Shaye, it is phenomenal. I absolutely loved it! What exceptional reading lives you two have been leading. Kellee, Dry by Neal Shusterman is now added to my list. I’ve just downloaded the audiobook of Lu and am looking forward to getting to it as soon as I’m finished what I’ve got on the go now. I have Pride in a book bag from the library, but doubt I will have time to read it before I have to return it. There are too many good books in it. I am also looking forward to Hey, Kiddo, but at least it isn’t in my pile of overwhelming madness. Oh, please, please do. Pride is so magnificent! Pride and Hey Kiddo are two I really want to get to soon. I will keep you posted about Hey Kiddo! I really am intrigued by Pride – and placed it in my Book Depository Wish list – I have a feeling that it will be in keeping with our #WomenReadWomen2019 reading theme.